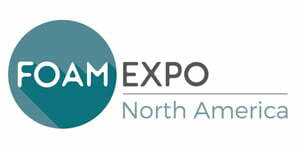 Conversion – ALEMO | Foam machines production, extrusion and conversion. 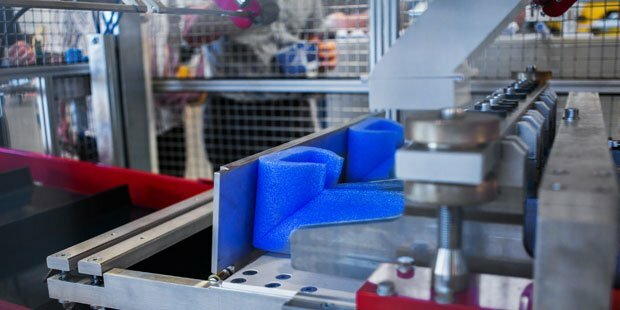 The machine was designed to transform coils of flexible packaging material into various formats and bags to different sizes. 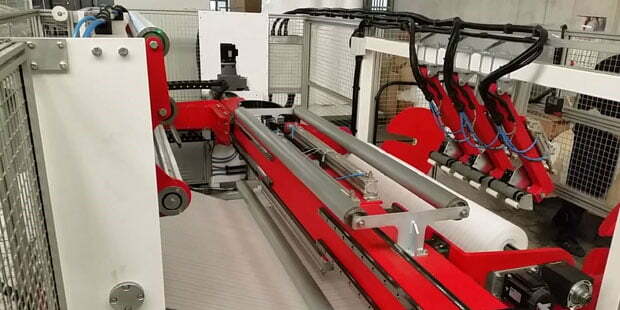 Completely automatic control system allows easy use of the machine. One good experienced worker can manage two machines together. 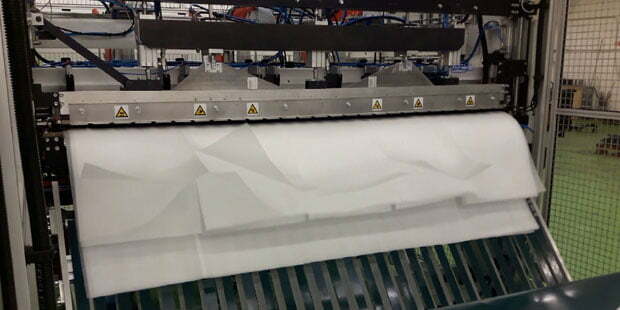 Alemo Coreless (re)winder was designed to transform flexible plastic sheets such as PE-foam, its laminates, air bubble film etc. into small short rolls without inner paper core. 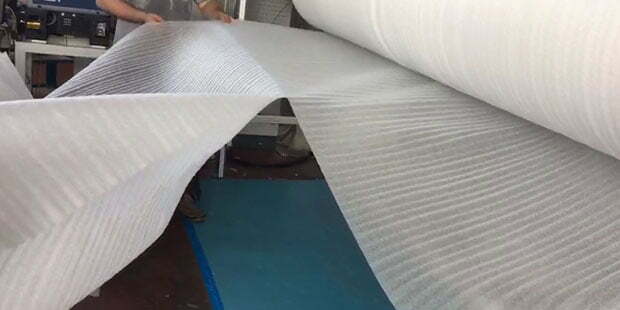 That kind of rolls were studied on the demand of retail market such as DIY or hardware stores where quantities of packaging and underlayment materials are low. The machine was specifically designed in order to achieve maximum productivity with lowest scrap ratio. 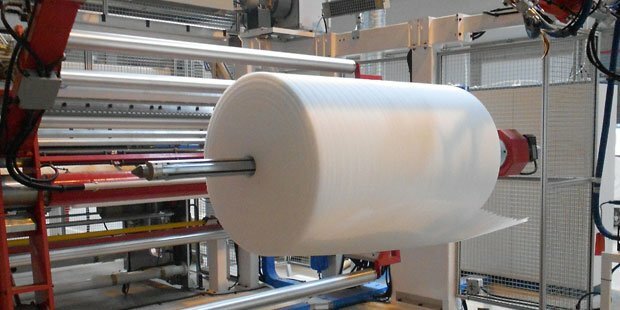 The result is machine laminating up to seven (6) rolls in one step at speeds up to 20m/min. 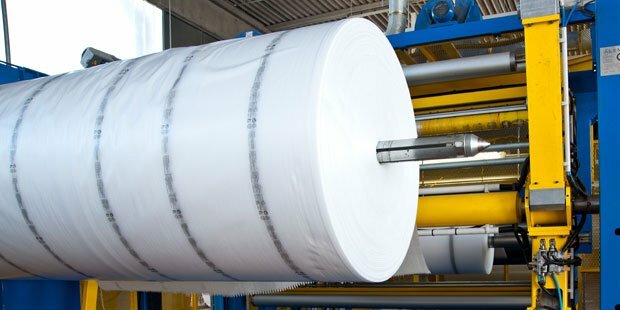 The machine can laminate input material from 6 to 25 mm thick; for higher final thickness requirements plank to plank lamination can be performed. 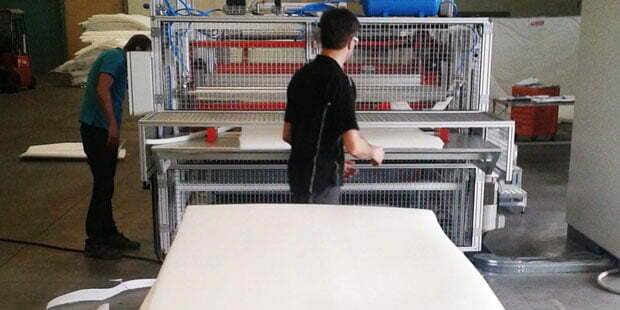 The machine was developed to significantly increase the productive capacities of companies supplying protective PE foam corner and custom-cut products. This automatic machine requires minimum workforce, just one (1) operator inserting profiles/pipes into the machine and/or controlling the machine via touch-screen panel.